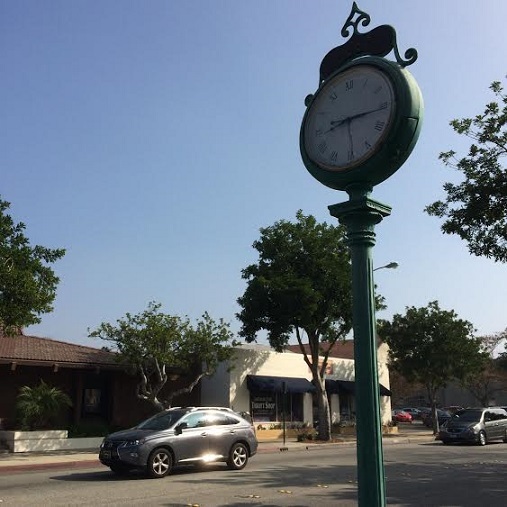 A clock in downtown La Verne is broken, with the hands stopped at times a half-hour apart. Why? 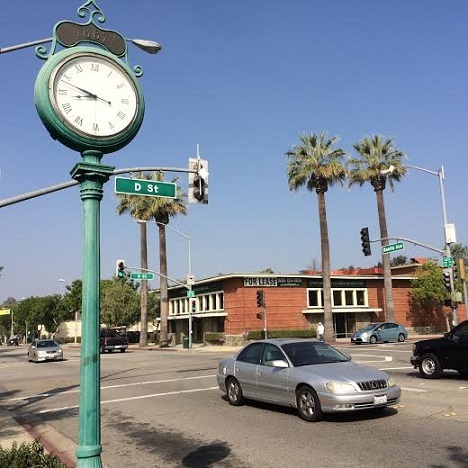 The answer is in my Wednesday column — along with Cultural Corner items and a related La Verne item about the city’s origins. Above, as seen Tuesday, the clock’s west face reads 8:16; below, its east face proclaims 8:48.